One of the most common birth defects in the United States is a cleft of the lip or palate. In fact, the Centers for Disease Control and Prevention estimate that 2,650 babies are born with a cleft palate each year and 4,440 with a cleft lip, which frequently occurs with a cleft palate. These defects happen during a woman’s pregnancy, when the tissues of the baby’s face and mouth don’t grow together correctly. But thanks to the coordinated efforts of doctors, surgeons, dentists, and other specialists, children with clefts are able to lead healthy, normal lives. However, because their tooth development may be affected, children with clefts often need more dental services throughout their childhood than most other children. And without some type of dental plan, these expenses can take a toll on a family’s finances. It’s not unusual for a child with a cleft palate or lip to have malformed, missing, or extra teeth, which means they most likely will need orthodontic treatment at some time in the future. And they frequently have a higher incidence of tooth decay than other children. For these reasons, dentists and orthodontists will closely monitor a child’s dental needs from the time they are babies. This close scrutiny ensures that the child can begin orthodontic treatment at the optimum time for best results, and regular dental checkups, cleanings, and x-rays will prevent many potential dental problems. In-office fluoride treatments as well as the application of sealants to the teeth, are also important preventive services that can help protect against tooth decay. Parents of children with clefts need to be especially diligent when it comes to their child’s home care routine. From the time the baby comes home from the hospital, cleaning his or her gums with wet gauze is recommended by the American Academy of Pediatric Dentistry. And when the first teeth start to appear, they should be brushed, with a soft baby brush and a smear of fluoride toothpaste, after feedings. As time goes on, parents need to continue brushing their child’s teeth at least twice a day with a pea-sized amount of fluoride toothpaste, and flossing should begin once there are teeth in the mouth that are touching each other. And it’s important to note that most children aren’t coordinated enough to brush on their own until at least 8 or 9 years old. Although, a traditional dental insurance plan can help offset some of the dental expenses a child with a cleft might incur, there still may be a substantial amount of cost the family will have to shoulder. Dental insurance plans typically have yearly plan maximums and deductibles that have to be met. And unfortunately, some plans don’t cover orthodontic procedures, and almost all insurance plans exclude cosmetic services. 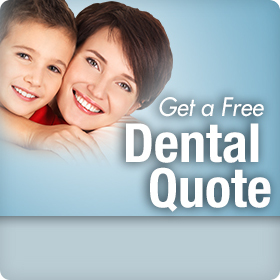 A dental discount plan, on the other hand, is perfect for a family that has many dental needs. These plans promise a savings of up to 50% of the cost of dental treatment when services are done by a dentist who accepts the plan. In addition, there are no deductibles, yearly maximums, waiting periods, or excluded services — both orthodontic and cosmetic services are covered. So, whether you are a parent of a child with a cleft or not, don’t wait to take advantage of a plan that can save you and your family money. Click on the link to the right to find a Confident® dental discount plan through Careington® and a list of participating providers.